FROZEN FEVER OLAF TSUM TSUM BAG SET The Frozen Fever Olaf Tsum Tsum Bag Set is a super cutesy highly cuddly bundle of fun! The product comes with a medium sized Olaf carrying case made of soft plush type material, with a handy but still soft and aesthetically pleasing pair of handles on top .. 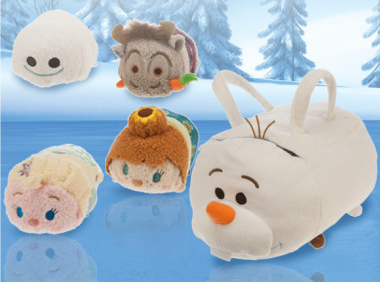 The Frozen Fever Olaf Tsum Tsum Bag Set is a super cutesy highly cuddly bundle of fun! The product comes with a medium sized Olaf carrying case made of soft plush type material, with a handy but still soft and aesthetically pleasing pair of handles on top and the carrot nose that Olaf is so well known for! Inside Olaf are 4 mini Tsum Tsums (that is 3 1/2 in plush characters) featuring Elsa, Anna, a Snowgie, and Sven. With some toys where you get a larger carry case, sometimes the smaller items inside are ‘makeweight’, but not with this product! The four minis are lovely, with cute facial detailing for plush characters, and with ‘beany’ style bodies and soft plush heads. We tested Frozen Fever Olaf Tsum Tsum Bag Set with several large groups of kids in organised playtesting sessions. Many of the Frozen fans really loved this product, due to the abundant cutesieness and the opportunity to act out scenes from the smash hit movie Frozen and to create their own scenes using the mini characters and Olaf. This type of imaginative play is really good for helping children to develop creative and communication/expression skills. WHO’S IT FOR: This product is suitable for kids of 3 years of age or older. 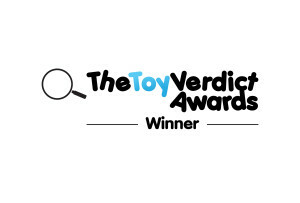 THE TOY VERDICT: Frozen Fever Olaf Tsum Tsum Bag Set is a lovely cute cuddly Plush toy collection. Fans of Frozen who like plush toys should love this!